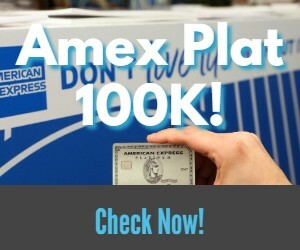 I wanted to do a quick PSA, since I have received this question a few times, but it looks like some of those Hilton Amex spending offers are beginning to post. My wife received the $2000 spending offer on her recently upgraded Aspire card. I received the $200 grocery offer on my Aspire card a few days later. The terms state that the points should post once the spending is complete within 8 weeks of December 3rd. My wife’s Hilton balance jumped up 40,000 points today. There is still no notation on her account where they came from but it would be from her spending offer. I have not seen the 10,000 points post to my account yet but I did receive the offer a few days after hers so it may take a few more days. I am glad to see the points post promptly. At least a lot more promptly than the free nights seem to come :). I was also in need of a boost to my stash since I cashed 230,000 points out for Amazon gift cards. Let me know in the comments if you also received your points today. Yep! Just checked and it looks like my 2 – 20,000 point offers posted today. Can’t see the activity yet put my total point balance increased by 40K points this morning. Now for Amazon 13X offer points. Sadly, only 13X up to $500, but l’ll take the 6,500 points. Just got it as well. Sweet. My one 10,000 point bonus hit for the first $1000 in spend, completed just before my statement close a few days ago.